England international Rachel Shaw will combine playing with a new coaching role after committing to Team Bath Netball for the 2019 Vitality Netball Superleague season. The dynamic wing-attack, who first joined the Blue & Gold in 2013, has taken over from former Vitality Netball Superleague-winning captain Asha Francis as Assistant Netball Coach and will work with University of Bath students in British Universities & Colleges Sport [BUCS] competitions. She will also be involved with the Team Bath Netball Futures Pathway programme, particularly the U15 players, and will make special community coaching appearances at clubs in the South West alongside her playing role as a key member of the Team Bath Vitality Netball Superleague attack. 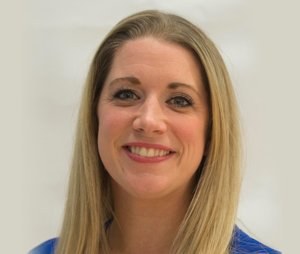 Shaw, whose previous coaching experience includes the Team Bath Netball school holiday camps and as a teacher at The Royal High School in Bath, is excited to take on her new role. “Moving into coaching is something I have wanted to do for a while and I am looking forward to challenging myself,” she said. “I’ve always enjoyed coaching and it will be good to develop my style in a high-performance environment. I am a people person and very encouraging but I also challenge the players and expect them to challenge me back – if they have ideas, I want to hear them. “I will learn a lot from the coaches around me at Team Bath and from the players I am working with. The University squad has a good mix of established Vitality Netball Superleague stars and exciting U21 players, so I am looking forward to bringing that talent together and also to working with the young players coming through the performance pathway. Shaw is hugely popular amongst her team-mates and with the Blue & Gold supporters, receiving special recognition at this year’s Team Bath end-of-season awards for all of her hard work on and off court. Team Bath Netball Head Coach Jess Thirlby, who herself made the transition from player to coaching with the Blue & Gold, said: “Rachel is an integral member of the Team Bath family and while most will know her as the outstanding player they see on court in the Vitality Netball Superleague, she is also a very good coach who has been developing in this area for a number of years. “Rachel will be a fantastic role model for the student club and she understands the culture and values that we try to live by here at Team Bath. Shaw is the second player to be confirmed in Team Bath’s 2019 Vitality Netball Superleague squad following the return of England superstar centre Serena Guthrie. “I screamed when Serena told me she was coming back, I felt like a kid at Christmas!” said Shaw, who played alongside Guthrie during her previous spell in Blue & Gold. A sell-out crowd awaits Team Bath Netball for their first home match of the 2016 Vitality Superleague season – and England players Rachel Shaw and Eboni Beckford-Chambers are hoping to give the fans plenty to cheer. Around 1,600 supporters will be at the University of Bath Sports Training Village tonight to see Team Bath take on 2014 champions Manchester Thunder in a mouthwatering clash sponsored by The Royal High School, Bath (7.45pm). Both teams have won their opening two matches, along with Hertfordshire Mavericks (who have now won three), and neither will want to give up their 100 per cent record without a fight. It will also be the first opportunity for fans in the South West to see Team Bath’s new-look squad in action at the STV this year and Shaw is excited about what they could achieve. “Something I love about this team is the way every player brings something different, something special and their own individual flare and passion to our squad,” said Shaw. “The diversity of our 15 is a real strength but the key is the way we have managed to channel that into a sense of togetherness. I feel like I have played with some of them for years but have actually only known them for five months. Those words were echoed by Shaw’s club and international team-mate Beckford-Chambers, who has captained Team Bath to victories over Surrey Storm and Yorkshire Jets so far this season. “To have two wins from two has given the squad great confidence in our quest for the Superleague championship,” said the influential defender. “We are extremely excited to be hosting Manchester Thunder on our home turf. We know that it is going to be an exhilarating, hard-fought encounter but we are very much looking forward to the challenge. 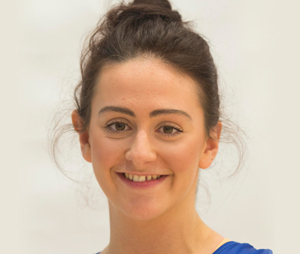 Joining the Team Bath squad for the rest of the season is University of Bath Sport Science student Nicole Humphrys. She replaces Jazz Scott, who has been forced to withdraw through injury. Friday’s Superleague fixture will be preceded by a National Performance League (NPL) match between Team Bath and Thunder. It starts at 5.15pm and entry is free. The Thunder match may be a sell-out but there are still tickets remaining for Team Bath’s other home Superleague fixtures, including the visit of Team Northumbria on Friday, February 19 (7.45pm). Tickets are available from http://www.teambath.com/events/ticketline/ or by calling 0844 888 4412.